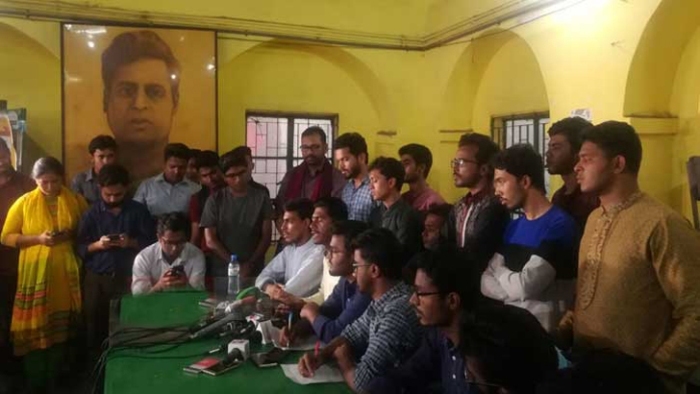 Newly VP-elect Nurul Haq Nur has demanded the re-election of Dhaka University Central Students’ Union (DUCSU) again. He demanded this at a press conference, organised at Madhur Canteen in Dhaka University premises on Sunday. “I shall take office as Vice President, if the general students wish. Otherwise, I won’t do.” VP Nur said. “Prime Minister is the head of our government. I visited Ganabhaban yesterday from the point of respect to her. I did it after the discussion with my organisation leaders and activists”, he also said. Mentionable that Dhaka University Central Students’ Union (DUCSU) and hall union leaders, including Vice President Nurul Haque Nur, General Secretary Golam Rabbani met with Prime Minister Sheikh Hasina at Ganabhaban in Dhaka on Saturday.